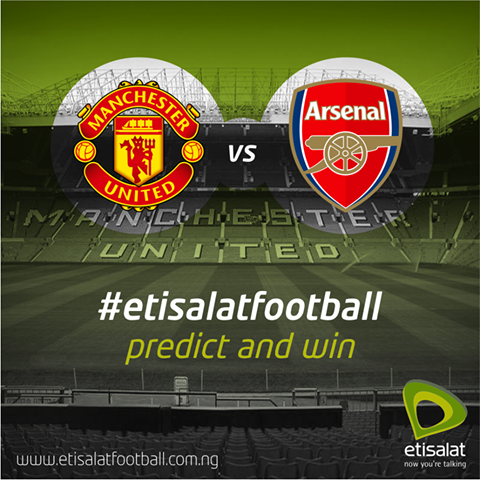 Its Manchester United Vs Arsenal FC in the FA Cup Quarterfinal. SHARE the post with friends to participate. Predict the final scoreline and win free Airtime. 1st, 5th & 10th correct predictions win. visit www.etisalatfootball.com.ng for amazing offers.